Long summer days, and scorching sun makes me want to eat frozen sweet treats from Puerto Rico! Remember when I wrote about the piraguas? Well, with us living in the U.S.A it’s kind’a hard trying to get my hands on one of them right now. 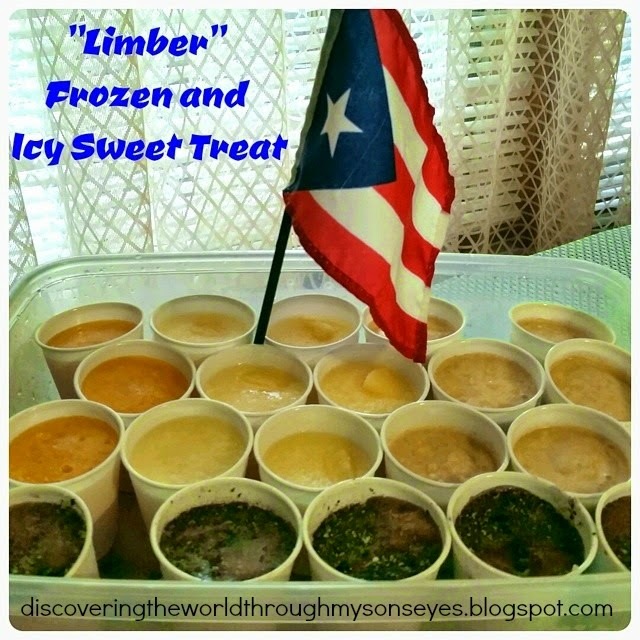 Limbers are often sold from a neighbor’s home. I remember when I was growing up it was a real treat to get a quarter, and run down to Doña Juana’s house to buy a limber! Oh, so many flavors to choose from! 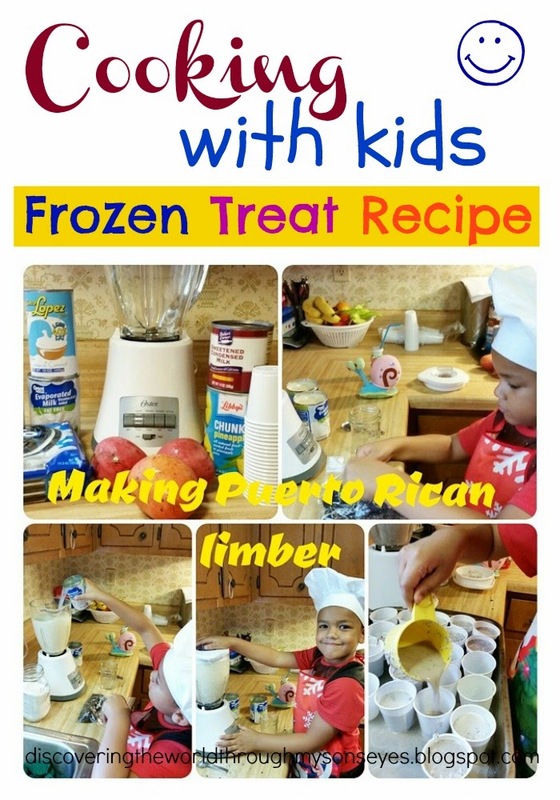 Limbers are homemade frozen treats made out of tropical fruits such as pineapple, coconut, mango, tamarindo, and the not so common, and very popular amongst the smaller children Oreo cookie flavor. My personal favorite is coconut, crema and bizcocho. Although, I can’t fly off to Puerto Rico to get a limber I can sure make some with my little man. I asked him what flavor he’d like to make, and of course he said “Oreo!”Making limber with your children is a fun and easy! Let your child crush the cookies in a sealed sandwich bag. Pour evaporated milk in blender, and add the crushed Oreo cookies, cans of water, and sugar. Pour into 3 oz. disposable cups then I added chunks of Oreos inside. We made various batches of limber to serve at little man’s upcoming birthday! I made the coconut, mango, pineapple limber, and our son made the Oreo ones. After they were frozen we had a taste test with Daddy, and little one. They both seem to agree on preferring the pineapple, and Oreo limbers. Me being the island girl that I am was totally drooling over the coconut and mango ones. What your favorite sweet frozen treat to beat the summer heat? Oh yum, we are totally making these! Is the only difference that you use the fruit instead of the crushed Oreos? These sound so good!! Thanks for sharing them at the Holiday Treat Swap! !